Every year in the fourth quarter, IBM assembles its Systems & Technology Group (STG – the hardware guys) executives for discussions with the analyst community to review results and discuss the year ahead. STG’s Senior VP Rod Adkins teed up this year’s meeting with a reminder that STG and Software Group (SWG) both now report to Steve Mills, SVP and Group Executive – Software & Systems. This change naturally suggests the possibilities for increased synergies between the two parts of IBM, and although much collaboration has been in place over the years, IBM’s attention to leveraging the opportunity has clearly come into sharper focus. The interaction was a recurrent theme. Adkins’ messages focused on gaining market momentum with increased offering differentiation, targeting new workloads and clients, and driving sales and marketing execution. He made a strong case for having done well on all counts. After a difficult 2009, STG has just turned in its best Q3 performance in 6 years following gains in the prior two, and is expecting continued success to round out the year. Adkins intends to grow from 2009′s $1.3B in pre-tax income to $2B in 2015. Every IBM hardware platform – z, POWER, x and storage – has been refreshed in 2010, with an eye to driving the differentiation Adkins spoke of. “Smart Analytics workload revenue” through September is 4x its first year total, he said, with POWER solutions and associated storage leading the way. For this observer, though, IBM doesn’t have nearly the mindshare it should in the analytic platform and data warehouse markets. It will need to step up the message volume to break out of its existing customer base and drive new business momentum. Attractive as they sound, IBM’s incremental moves to drive ecosystem performance need to be matched by a commitment to raise customer awareness. IBM’s platform portfolio permits multiple paths to market, and some of the successes are striking. Though a few observers assert reductions in the numbers of mainframe customers, IBM focuses on its new ones: 37 new System z clients this year through September. And the transformation of the mainframe into what IBM calls “the industry’s first multi-architecture platform” could change the perception of the mainframe substantially. IBM’s zEnterprise can have POWER and x blades plugged right in, to run the workloads they are best suited or already being used for, to powerful effect. Has that message been heard in the market? Not in my opinion – again, there is a shortage of product messaging to supplement the admittedly effective Smarter Planet corporate story. 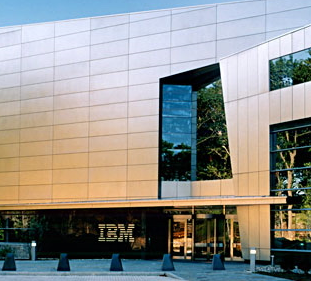 IBM boasts 4500 competitive displacements since 2006, when it began its Migration Factory initiative. On the high end, the news continues to be good: 532 wins from Oracle/Sun and 481 from HP so far this year. POWER systems continue to be a bright spot, with 800 migrations to it through September 2010, already 200 ahead of the 2009 total. On the low end, work has been done developing differentiated x platforms, and with improved revenue results in every quarter, that story seems to be taking hold as well, though it doesn’t get the laser view of wins that the lower volume, higher-priced platforms can. IBM is using its weight as a global organization effectively in new markets: 29% of STG revenue comes from growth markets and in particular, the BRIC countries (Brazil, Russia, India and China) contribute 14% (they were up 27% year over year.) Adkins detailed the opportunity IBM sees: $650B in its key thrusts at growth markets, analytics, cloud and Smarter Planet. He concluded with a look at new growth areas like data center networking and virtualization and a discussion of go-to-market initiatives such as continuing expansion of the partner ecosystem.